Happy Halloween everyone!! Let’s get things started with a little Heads Will Roll! Speaking of heads rolling…. theme parties for Halloween are always so much fun. Need some inspiration? Check out our Zombie Apocalypse Theme Party round up! Halloween is a great time for DIY. Whether it be decorations, pumpkin carving, or party favors, these blogs have you covered! So what are you doing for Halloween tonight?? As for us, we are following tradition and watching…. Have a safe and happy Halloween everyone and we’ll see you next week! I just saw my sugar skull treat box post on your list! How sweet you are! And how cute is your dog?! Adorable! Sounds like you will all have a great and fun night! Happy Halloween, love the puppy costume!! Mine are dressing up a little, Izzy has fairy wings and a tulle skirt and Nando is a pirate, not as elaborate as your costume. Thanks for the post shout-out, Kenley! And my, my, your pup is SO cute! You know that makes Cpt. Lauren Sparrow give an extra loud, “Argh!” 😉 And enjoy watching Young Frankenstein! That was a favorite in our household growing up…and I hope one day, I can see the musical production they did for Broadway! Thanks Lauren! 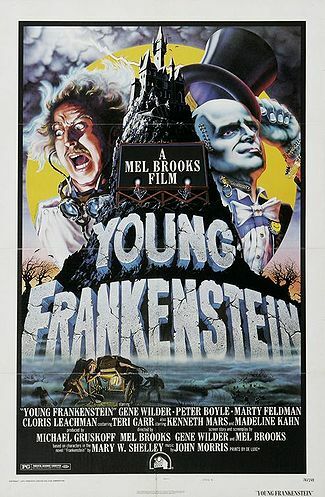 The musical version of Young Frankenstein is so great! We saw it I think it was two years ago when it came via Broadway Across America to Austin. Happy Halloween to you Kenley. I think the dogs costume is priceless! Pingback: Happy Halloween, America! | Lavoce: We Are People Too, Inc.
Ah! Dewars looks amazing. What a handsome lad he is growing into!! Happy Halloween! Dewars looks awesome! I hope you had a nice Halloween…I totally forgot about it since we are traveling. 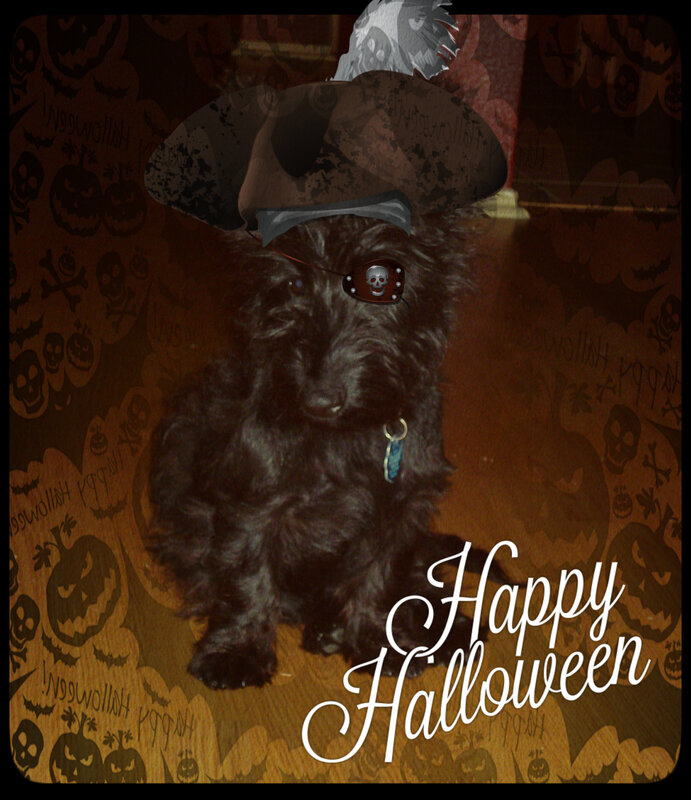 Dewars makes one adorable little Halloween pirate! This entry was posted on October 31, 2013 by Jessica Romigh in Holidays and tagged Dewars, Food Snob Chronicles, Halloween, Halloween DIY, Heads Will Roll, Yeah Yeah Yeahs, Young Frankenstein, zombie apocalypse.